The adage “a picture is worth a thousand words” has perhaps never been more befitting an image then that of the mangled car that Amanda Kloehr was wrenched from after being buried by a tractor trailer in a 2008 car accident. The first emergency responder on the scene, a man with twenty years of experience, was certain no one could have survived such a gruesome wreck until he heard the screaming. Looking at the picture of her blackened mangled car, many questions remained unanswered: How did it happen? – Who was at fault? – How did she survive? Amanda, who is alive and well, is willing and eager to answer those questions. She is the first to admit – she was just distracted. It’s not like she was doing anything horrible; she hadn’t been drinking or doing drugs before driving, she was wearing her seat-belt. She was just distracted – maybe checking her messages or texting on her phone, or maybe finding a good song on the radio or checking out where she was going on her GPS – she doesn’t really remember which. All she knows is that this preoccupation, not keeping her full attention on her driving, put her and everyone else driving around her at risk. And, she paid a heavy price for this. The first time she looked in a mirror she didn’t believe it could be her until she saw the tear running down the face looking back at her. But, after many surgeries, facial reconstruction and the loss of an eye, she still considers herself lucky – she is alive – she survived and didn’t kill anyone else. And now her purpose is to try to prevent others from making the same senseless preventable mistake. While laws addressing phone use and texting while driving may help, Amanda understands human nature. We don’t really think it will happen to us. We learn by example – and she is willing to be that example of what can happen in just that one second of distracted driving. She knows that just looking at her face – the new, not so pretty one that she will live with the rest of her life – can have more of an impact on some new 16 year old driver than all of those dry statistics. That face that she didn’t recognize after the accident she now proudly displays as a lesson to others. But, that’s not to say facts and statistics are not a necessary part of the process of becoming a safe responsible driver. We all know that there have been big cuts to our educational system and many schools have chosen to cancel driver’s education classes as a way to balance their budget. This decision should be reconsidered by these school boards. Driving is a life skill that all high school age kids need to be taught. Teenagers need to learn the importance of not only knowing how to drive well and safely, but the consequences if you don’t. The schools can’t just assume that they will learn this somewhere else – that it’s someone else’s job not theirs. It’s too important – it could mean life or death. Amanda understands this generation. We are so use to instant information. We can’t wait to find the latest news, update a status, friend someone on Facebook. But, is it really that important? Of course not – but it’s a mindset we are going to have change if safer driving is going to be made a higher priority in our society. The cost is just too high if we don’t. Amanda has been busy – whether it’s doing an interview on CBS, speaking at a conference focused on youth safety, or just talking to local high school students, she is taking every opportunity to try to make a difference. She hopes that others can learn from her experience instead of having to experience it themselves. Amanda is putting herself out there, for all to view and judge – it is not easy. She wants to raise awareness of the dangers of distracted driving and feels that if she can just save someone else from making the same mistake she did it will have been worth it. I had the privilege of interviewing Amanda, and asking her a few questions about the distracted driving epidemic. Here are a few of the examples of what we talked about. Q: Do you feel that drivers ed would be more effective if it were run through school programs rather than private companies? A: Not only do I feel like it should be run through schools but I believe it should be standardized across the United States. First of all, it should either be the same cost for all students in every state or it should be part of what Americans education tax dollars pay for. We are cutting more and more educational programs in schools and driver’s education is always one of the first ones to go. What other program teaches our 15-16 year old’s a skill where they could potentially kill themselves or other people? Second of all, why is there no standardization for what programs teach? I understand and recognize that traffic laws vary from state to state but even that is a bit of an issue in my opinion. Q: Many states have bans on cellphone use while driving in attempt to cut down on distracted driver accidents; however these accidents are still a major problem because a large number of people do not abide by the law and continue to use cellphones while they drive. 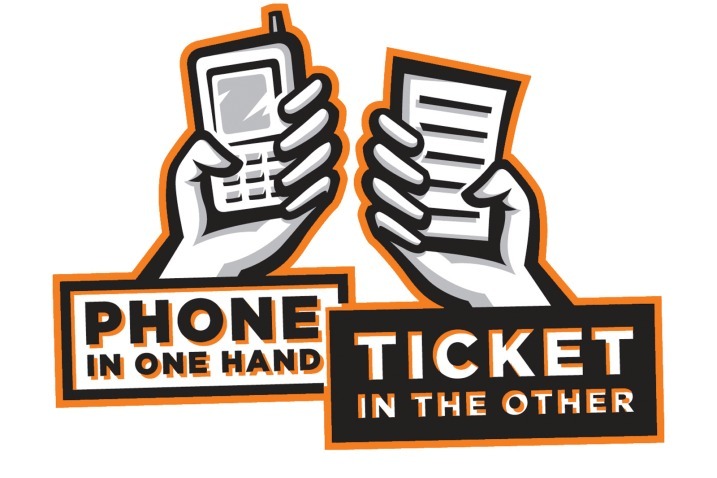 What do you think can be done to further decrease the number of accidents caused by distracted drivers? A: I think distracted driving accident prevention is going to require an entire change in culture. Just look at how much people have changed their mindset on drunk driving in the last 20 years. Distracted driving is no different. Furthermore, legislation is such a small piece in educating the general public. Just because laws are passed saying you should drive the speed limit doesn’t mean that people actually do. The laws created on distracted driving have just started causing people to move their cell phones into their lap further decreasing their line of vision. Distracted driving isn’t just texting either. What about cars with GPS dashboards in them or updating Facebook on your phone or even eating a cheeseburger? Until people understand that these simple behaviors are potentially lethal it won’t change. Q: How effective do you think the current distracted driving and anti-texting campaigns are at reaching our teens? What do you feel these campaigns are missing, if anything? A: I think it’s also just another piece of education and learning process while we work on changing the culture. I think it’s important though. I feel like few things resonate with a person quite the way I real-life story does. Those are the things people can relate to and think to themselves, “Wow. Maybe that could be me.” I think the key component many messages are missing is that they are too closely focused on texting, texting is important; it really is a big deal, but it isn’t the only problem. I just think ignoring all the other things can be negligent because there is more than just texting. I feel like reporters and interviews often try to edit my message to make it sound like I’m just talking about texting because that’s the “big subject” but I want more than that. I also don’t want to chastise drivers and make them feel bad. We all make mistakes. I’m not lecturing them or yelling at them. I don’t expect perfect drivers. I just want people to realize driving is a privilege AND a responsibility. Q: Do you think that car companies can do more to accessories (i.e. radio, navigation) less of a distraction? How long did you take your eyes off the road? A: Of course they can and it seems like instead of trying to incorporate safety features, they are just adding new things. I worry about it but I know if we can teach the people, it won’t matter what the car is capable of doing. I have no idea how long I had my eyes off the road. It could have been 3 seconds or 20 seconds but it wasn’t that long. But it was long enough for me to not know I was barreling towards a tractor trailer and those seconds have changed things for the rest of my life. Visit Amanda’s website to learn more about Amanda and what she is doing to help prevent the distracted driving epidemic. Thank you Amanda for all your hard work and dedication to helping put an end to distracted driving. If anything could change a mind it would be Amanda’s car and Amanda now. I hate to say this but a tape of that 1st responder to Amanda might not hurt. When I was in high school in the 70’s we had a Civics teacher who took it upon himself to bring reality to every student he met: he had a passion for all of us and our dreams. He finally received permission from the principle to show one film he got possession of from the Ohio State Police- graphic, and I mean graphic, REAL accident scenarios involving teenagers. Some of the girls could not make it through the film w/out running to hurl. I still remember that film, and everytime I, myself, do something in a vehicle that I know I should not, that memory comes back to me. An ounce of cure is worth a pound of prevention is a phrase that never outgrows time. I think this could be a potential cause for sohteming much more serious. If you can’t use your phone while moving I guess someone that’s been kidnapped can’t call for help?! And what about someone on their way to the hospital (pregnancy, major injury, etc.). They won’t be able to call for help on the way?Education, not restriction.. Ridiculous statement. Emergencies are permitted 911 calls. Distracted driving takes forms nit involving a phone or did you not read and comprehend the entire article? Wow. Perhaps better education would decrease accidents by a small fraction…but I would just like to point out that we didn’t have the “convenience” of cell phones back in the 70’s & 80’s (and anything BEFORE then, for that matter), and people made it just fine. Pardon me, but a life is worth more than a $600 phone-$70 monthly bill-& .49¢ text message or phone call. It can wait. I think you make a very good point Catherine! I’m only 26 years old so I have pretty much always had a cell phone in my life but I feel like as technology has improved on our cell phones the distracted driving epidemic has worsened. While I believe texting while driving is a huge issue, I think that having cell phones that allow people to go onto Instagram and Facebook lead to just as much if not more distracted driving then texting does. I think that texting drivers should receive the same penalty as drunk drivers, because texting and driving has been proven more dangerous than drunk driving. For goodness sake, 11 teens, not including adults and children are killed per day from distracted driving accidents. Catch yourself getting distracted, because that just goes to show that if you are commiting TWD, you don’t care about your life or other’s lives. Try. Discipline yourself! !